LIC Housing Finance Limited (LICHFL) plans to raise Rs.1000 Cr residential real estate fund. LIC Housing will raise the real estate fund thru ECBs. LICHFL is to come up with Rs.1000-Cr real estate fund. “LIC Housing Finance Limited (LICHFL) will raise a residential –oriented real estate fund thru external commercial borrowings (ECBs)” as told by Mr. V.K. Sharma CEO of LICHFL. Insurance giant LIC- promoted LICHFL is considering its plan to raise a real estate fund around Rs.700- 1000 Cr thru ECBs. The decision is prompted by the RBI’s approval of housing finance companies to raise up to $1 billion. Last month RBI had permitted the reputed real estate builders and housing- finance companies to raise fund worth $1 billion through external commercial borrowings (ECBs). RBI allowed the real estate builders to raise such huge fund with the view to promote the construction of affordable housing units. Will LICHFL’s real estate fund be as attractive as this? Mr. V.K. Sharma said that a committee of senior officials has been formed with the purpose. The committee is in talks with RBI in relation to the issues regarding ECB. He seemed optimistic about the firm’s plans. Mr. Sharma was addressing a property exhibition held in Hyderabad. Comparing to the domestic borrowings, ECBs are more attractive. Overseas loan- cost is lower than the domestic borrowings. Besides ECBs open easier access to many global financial markets as well. Mr. Sharma refused to answer when the firm would raise the real estate fund. He further stated that only after the committee’s meeting with the RBI he will be able to say anything more on the issue. He revealed that the committee is in touch with RBI and the decision will be taken soon. At present the LICHFL- promoter LIC holds 40.31% shares. Another 40 % plus share is held by the institutional investors comprising both foreign and domestic investors. Others hold only a mere 18.22% LICHFL shares. The LICHFL Chief did not reveal the accurate amount; some officials close to the firm said that the fund would reach around Rs.1200 Cr. 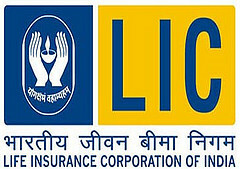 With the ECB issue the shares of LIC will be dropped to 36.54%, sources close to LICHFL revealed. Mr. Sharma stated that the firm targets housing loans worth Rs.25,000 Cr this year as against the last year’s Rs.20,000 Cr. Currently LICHFL provide housing loans at the rate of 10.25%. The firm waits for the RBI decision to alter the interest. He said that the final decision regarding the real estate fund will be taken only after this. This entry was posted in Real Estate News and tagged ECBs, external commercial borrowings, Housing Loans, LIC, LIC Housing Finance Limited, LICHFL, real estate investment by designer. Bookmark the permalink.